So I'm starting to think we must have reached a new phase in man's progress from the primordial slime to the stars when, still boggling over wotwine, I'm told about this: An Augmented Reality App which Will Bring Your Wine Bottle To Life. Actually, just writing it down makes me partly lose the will to live, but no, this is where the world is going, this is the kind of thing the millenials dig, so I mustn't be off-trend about it, I must embrace the now. Which is? Look, it's easier if you just watch the video: this more or less explains how, if you buy a bottle of 19 Crimes Australian red - marketed by the all-conquering Treasury Wine Estates, a company that also handles Blossom Hill, Penfolds, Wolf Blass - then download the 19 Crimes app onto your phone and point that phone at the label of the bottle, the grizzled face depicted on the label will come to life on your phone and start bending your ear about the real-life crime he or she committed, or at least was convicted of, in the nineteenth century and which led to her or his transportation from England to Australia. For the sake of my children, I begged for mercy, says one; Forgive me for caring more about myself than the cause, announces another, with a sneer. Little faces! Talking at you! A bit weird for the dinner-table? Well, yes, except that, as the website (that old thing) explains, 'For the rough-hewn prisoners who made it to shore, a new world awaited. As pioneers in a frontier penal colony, they forged a new country and new lives, brick by brick. This wine celebrates the rules they broke and the culture they built.' In other words, it's all positive. You can even Connect with the gang and Join the banished if you're so absolutely parched for stimulation that joining a virtual society of deceased ex-cons who exist only to gimmick up an extremely small range of reds (Cabernet Sauvignon, Red Blend and something called Dark Red) seems like a good idea. Why not? It's that or wasting the evening on a re-run of Celebrity Antiques Road Trip, so you might as well. And of course it's not so much the product itself, the 19 Crimes, which is significant, but what it represents. You can see it coming, like bad weather across a sound, a new dispensation in which wines of all sorts will talk to us, or play music, or host an impromptu quiz when they sense that the chit-chat round the table has got onto Donald Trump again, and what do you know? John XXII is looming out of the Châteauneuf-du-Pape bottle and asking us, in guttural Mediaeval French, how late the trains run because he has to get back to town? Or the bay on the front of your Oyster Bay starts making soothing lapping sounds, broken only by the bleating of sheep and foul-mouthed bucolic New Zealand banter from unseen shepherds and winemakers? Or raised voices are heard coming from the villa on the Chianti label and after a while you realise that it's you they're shouting about, and not in a friendly way either, particularly unnerving as you're drinking on your own and already regretting it? Or the cockerel on your Le Réveil starts crowing and will not shut up, not even when you stuff it in the recycling bin and heap empty soup cartons and bleach bottles on it? And the wine? Wine is such a twentieth century thing. Do we really need to think about the wine? How does wine even fit into a world of constant intermediations from ongoing digital reference points? How do we find the time to drink a glassful before we have to share the experience with one or more digital platforms while the AI is toiling away in the background, cloudbasing our subjectivities into a worldpermeable interface which then allows someone from Abilene, Texas, to address us, mid-drink, live from the label on the wine bottle and suggest that maybe the tannins are a bit overdone? See, this is augmented reality and if anyone says that wine in and of itself is quite capable of augmenting reality, they haven't experienced either enough or the right kind of augmentation. 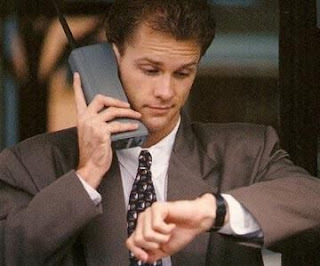 An e-mail arrives from a PR, announcing ‘Last-minute gifts with a difference’. ‘Last-minute’? It’s November! Perhaps we are supposed to wait until lunchtime on Christmas Eve, just to raise the tension, and then open the e-mail to see what it is they’re offering. But Christmas is clearly coming. The geese are getting fat etcetera, and the ads are beginning to appear for Christmas wine. Because this, of course, is the one time of the year when everyone suddenly becomes aware of wine, and gets themselves into a right old paddy about which one to buy for Christmas dinner. So the advertisers want to get in early, because, like the manufacturers of nutcrackers and turkey basters, this is their one chance in twelve months to flog most people their wares. It may be hard for aficionados of the grape to accept but, for many people, wine is a one-off, annual event, like Christmas itself. It’s simply part of the tradition, a little once-a-year indulgence. Christmas wine is like Christmas pudding, deemed an essential part of the proceedings – but, again like Christmas pudding, most people have no real idea of what it is, what’s in it, or how to discern one version from another except by its price. This presents something of a dilemma for those of us who do actually love wine. Is Christmas the excuse to bring out a much-loved, long-awaited bottle which has been kept for a “special occasion”? Or will that result in a tedious educational session over the turkey? “Well yes, Burgundy is Pinot Noir, but…” Just when you want to enjoy your bottle, you find yourself having to explain it. Whereas you don’t have to “explain” the roast potatoes. And is your much-treasured wine going to disappear down the neck of that guest who would be perfectly happy with a glass of Ribena? Because even if they actively dislike wine, like brussel sprouts, this is the one day of the year on which people feel duty bound to consume it. Or for which, of course, if they’re hosting the event, they feel duty bound to purchase it. So out roll the ads, aimed at the majority of the population who will not enjoy my largesse, but will have to go out and buy their own sodding bottle. And the key, it seems, to making a bottle of wine look suitable for Christmas is to shroud it in darkness. 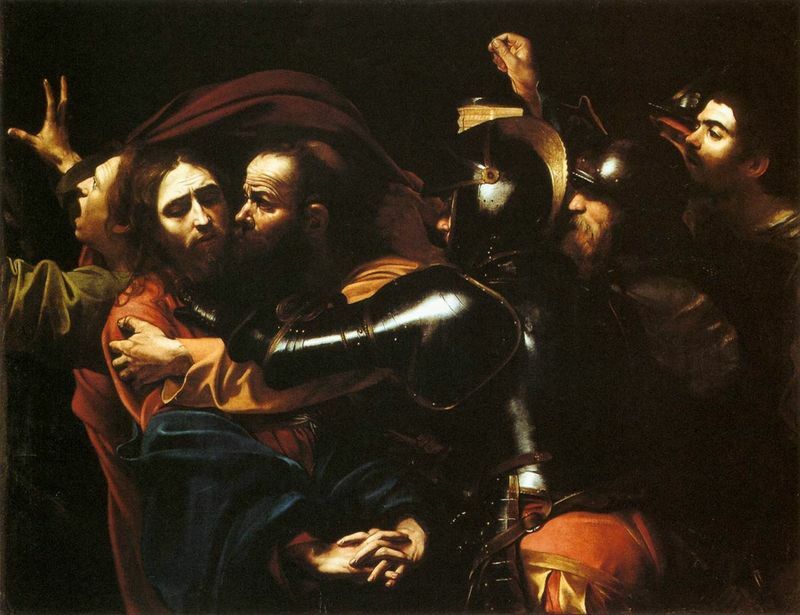 Caravaggio. The bottles invariably stand in a darkened room, glowing in reflected candlelight, or with out-of-focus lights in the background suggesting Yuletide decorations. Never mind the problems of serving it; Berry Bros present their bottles in such stygian gloom you would need a torch to find it. And when you think about it, this is absurd. Because most people in this country, prior to slumping in front of the Queen’s Speech, actually have their Christmas meal in daylight. 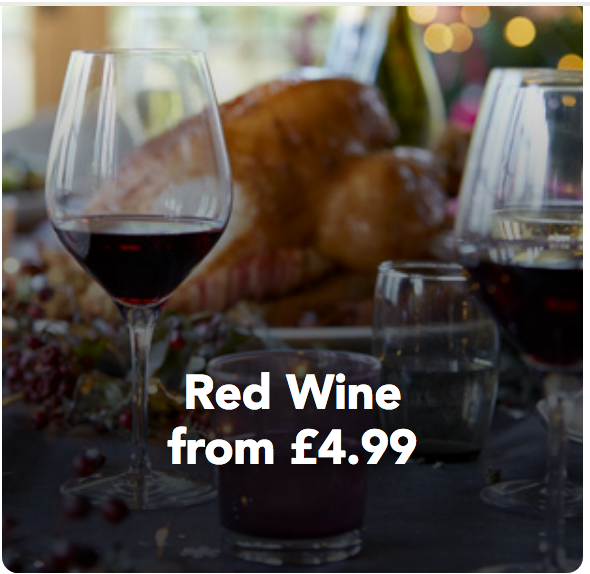 But there’s clearly some suggestion that the posh people, the real claret-drinkers, who spend a teensy bit more than £5.99, dine in the evening; and so if a wine’s going to make your Christmas meal a special occasion, it must be shown as suitable for evening consumption. Even if you’ll be drinking it during the day. And even if it does only cost £5.99. Just as the panic sets in, a clearly illuminated mixed case offer appears from Avery’s. 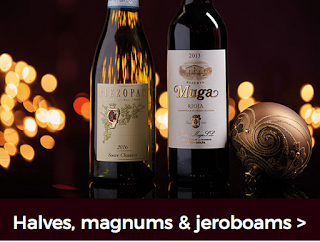 12 delicious wines hand-picked for Christmas. Well, that should set some minds at rest. Its three reds are a Gran Reserva that you should “set aside for a Sunday roast”; a French Syrah Grenache that’s “great with casseroles”; and a Montepulciano d’Abruzzo to be enjoyed “with Italian favourites like lasagne”. That’s the Christmas dinner sorted, then. Casserole? Or lasagne? So I have a new phone and what better than to start downloading onto it some time-wasting and irrelevant new apps? And of all those, what better app than this wotwine thing which people have been talking about for the last few years? Yes, the comments have not been uniformly favourable and yes, the wotwine webpage actually redirects you to its users' less-than-fantastic experiences ('frustratingly unstable'...'Ok but a bit hopeless at times'), possibly in an attempt to forestall complaints, possibly as the result of an administrative error, but anyway. Since the experts' panel on wotwine boasts five Masters of Wine and one Master Sommelier, how bad can it be, really? It even claims full man-of-the-people credentials by allowing you to search for wines costing as little as £1 - there aren't any, but that's scarcely the point. There's nothing to stop you. Down I load it: Your Supermarket Sommelier. Okay, it gets stuck updating its database but clears after a while and it's only asked for my email address once, a masterpiece of reticence in this day and age. I check my phone for 4G and location and head for the dreamland of mendacity which is my local Waitrose. This, I tell myself, will be a proper test: Waitrose's bottom shelf, quintessential garbage, and so I let wotwine loose. Fact: it crashes each time I try to use it and needs a re-start on every occasion. On the other hand: when I finally point it at the barcode of a 2015 Storm Tree Shiraz, it comes right back at me with with Mass-produced, dilute wine with synthetic fruit and astringent acidity and reckons that £4.50 a bottle ought to be top price, rather than the £5.69 being asked. In other words, it instantly has a ring of authority once it's stopped bailing out on me. Ditto when I run Le Reveil Cabernet Sauvignon past it, a wine I drink more often than I should on account of the heartwarming cockerel on the label: Simple, light wine with chalky tannins, light body and some red cherry and blackcurrant character, it declares, which is exactly what the stuff tastes like. The app also argues that I should only pay £5 a bottle, not Waitrose's preferred £5.99 and once again, their judgement seems to me incontestable. The fact that they've even got these awful, meaningless, wines covered is a miracle; but bull's-eye assessments on top - what a world we live in. So now I am completely in thrall to my phone and wotwine, to the extent that after a minute's use, I am letting it choose the wine for me, more or less wholesale. What comes up? A 2012 Luis Felipe Edwards Carménère Shiraz, which it thumbnails as a Spicy wine, with reasonable character, a bit thin, but sound, while, to my astonishment, concurring with the £5.99 price tag Waitrose have slapped on it. Helplessly won over, I have completely lost all power of self-determination, and instead grab the bottle with robot fingers and take it to the checkout. Oh, yes, there's also a canard to the effect that supermarkets, which can read wotwine just like anyone else, will up the prices of wines which are trending on the app, thus defeating the object of the exercise. Could be. But, look, we're nit-picking here, we're just making unnecessary trouble. One the basis of one hasty experiment, I can confirm that if you can get it to work, it works. And so does the rest of my new phone, so it's a big day all round. There’s one Italian red which has become something of a dinner party favourite at Casa K. It’s delicious, it’s dependable… but it has a drawback. Which is that it costs £16 a bottle. But there’s a posh supermarket which stocks it – and, every so often, they offer 25% off any six bottles of wine. 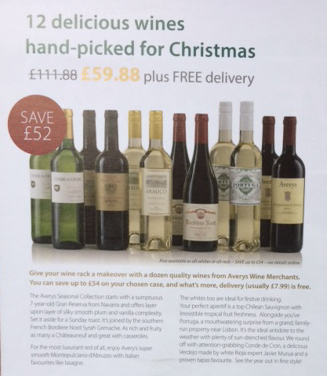 The last couple of times they were out of stock of our favourite during the offer period; I am not a suspicious man by nature, but this after all is a supermarket which admitted to The Guardian some years back that, during these offers, certain wines are “de-emphasised”. You might very well say “hidden”; I couldn’t possibly comment. The Standard Delivery is £5.95. (That’s Standard as in surly driver, parking problems, they didn’t say you lived down a one-way street, mate, sign this impossible touch-screen thing could you, and can I use your toilet?) And that is going to cost me effectively £1 a bottle. So my £4 discount, my 25% discount on six bottles of £16 wine, has suddenly become just a £3 discount. An 18.76% discount. It could be worse. I could opt for Next day/Named day delivery. That would cost me a swingeing £8.95, or £1.50 a bottle – reducing my discount to just £2.50 a bottle. That’s 15.6%. Name the day? How about Never? In order to get free delivery, and hence my full 25% off, I would have to order £150 of wine, to get free standard delivery, or £250 to get it free next/named day. £250! That’s 21 bottles of this wine arriving in our hall, like something out of The Sorcerer’s Apprentice. Never mind the cost of the wine, think of the marriage guidance bills. Oh, but wait for it. The cheapest option, at £3.95, is Click and Collect. Or, as I prefer to call it, Leg it and Lug it. And that’s 66p a bottle. To leg it myself down the High Road, and lug six bottles back. The cheapest possible way of ordering my six bottles is, basically, self-delivery. For which privilege I still have to pay £4, and be left with a 20.83% discount. Not 25%. Some people would just have gone ahead and ordered it. Still a discount, still saving money. But that is not the point. The point is that I cannot in any way order my six bottles, and get a 25% discount. That is the point. And I am the one here with the pointer. 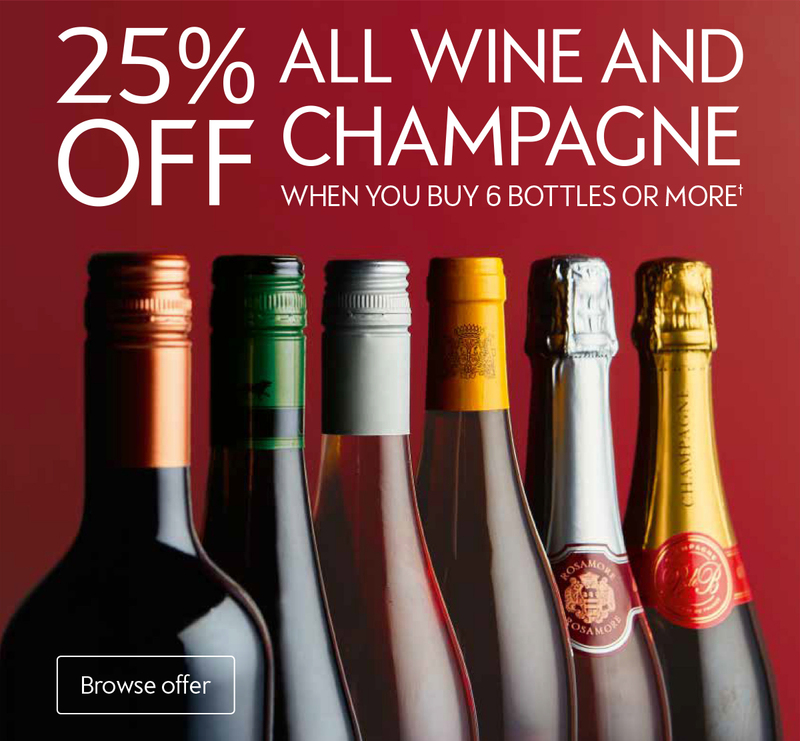 If you want to order six bottles and actually get 25% discount, you have to buy six bottles with a full price of at least £22.20 each. Then they will graciously let you pick it up, from them, for nothing. I am honestly not some kind of skinflint. 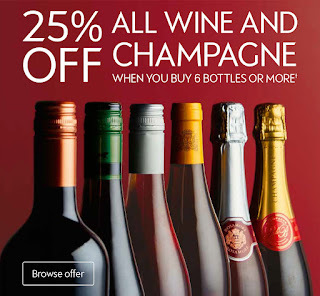 It’s just that I had foolishly got it into my head, as I saw the ads, as I began this process, that I would be getting 25% off my six bottles of wine. And then, as with so much in life, disillusionment arrived, in this case in the guise of delivery options. But, there was one other way of getting an actual 25% off. I took a chance. I walked down to my nearest branch, and hoped. And what do you know – they did actually have six bottles, the last six bottles, of my wine on their shelves. Which I could buy at a 25% discount, put into my handy (Majestic) six bottle carrier, and lug back home. Without any extra charge for picking it up. So there. I shall put down my pointing stick now, before I have someone’s eye out. 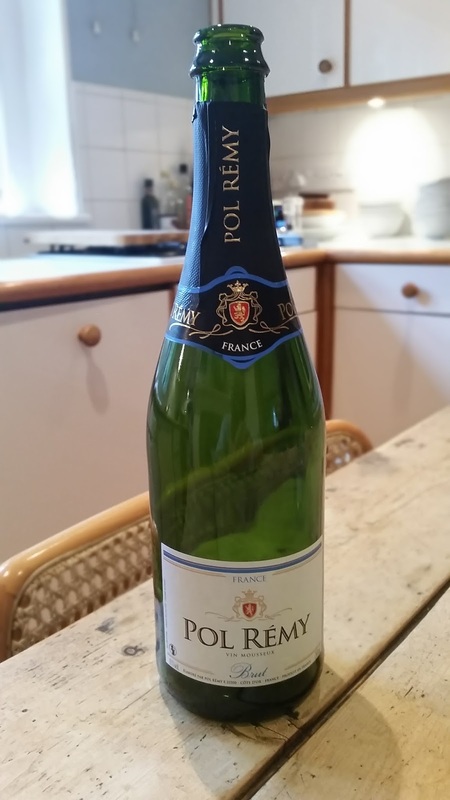 So our pals with the fabulously chi-chi place in the South of France turn up at our house in London, waving a bottle of what looks like champagne: right shape, quality label, tinselly foil on the top. Yes, the name, Pol Rémy, apparently rich in comic deceptions, arouses a bit of a laugh, but that's the French for you. I scuffle around offering prices starting at €15.00, because I haven't had a chance to get a proper look it; but I also understand that this is some kind of Dutch auction towards an unfeasibly low figure, gasps of astonishment, all-round disbelief. What I don't know is that the unfeasibly low figure is actually €1.99 or possibly €2.99 - there's a moment of crisis here, before we settle for €1.99 - at which point I have to assume that the wine itself is actually in negative price territory, given that the bottling packaging and distribution must have cost €1.99 and surely more. Which makes it, in all probability, the cheapest grog I have drunk this century. 'Scary,' I say, and what we explicitly don't do is show any interest in drinking the stuff there and then. Which means that it disappears into the Death Row which is my wine rack, only resurfacing when some other people are round, people who like a laugh. Out the stuff comes again and what do you know - it's just a vin mousseux after all? Not only that but it has a plastic bung instead of a cork, which is depressing. And it's only 11% alcohol. But there's no turning back and I serve it up superchilled, as cold as Murmansk, and await results. Mixed: three out of four of us find the stuff undrinkable - so much so that we actually have to tip it away. It tastes like nasal decongestant. The fourth person in the party, on the other hand, savours the bouquet, holds his glass up to the light, smacks his lips with little pattering sounds. The rest of us shout at him, drugs or no drugs: it's not possible to enjoy Pol Rémy, not even in these terrible times. We make entreating gestures involving our arms and hands, but he carries on quite equably. We give up. He finishes his glass and wonders if there's more. There you go. Which would have been it for Pol Rémy, except for the fact that I later go to the trouble of looking it up to see if there's any mention of it, anywhere. A nagging desire for reassurance makes me do it: I want any references I come across, to be abusive or derogatory; I want to believe wholeheartedly that this was one of the worst - certainly one of the cheapest - wines I have ever drunk; I also want to be told, implicitly, that it was okay to throw away half a glass of the stuff, something which even in the face of the worst wines, seems somehow immoral. But no: this place adores it, calling it 'A lovely, clean, zesty wine' and much more, as well as suggesting that you might want to pay $8.99 (New Zealand) a bottle. The next site along is less sanguine, but still manages a 'Good dryness' followed by 'Easy and sweet', which makes me wonder; but even the one after that manages a cautious thumbs-up - although the bottle illustration seems to have changed, plus the price, so perhaps Pol Rémy is more chimerical than I at first thought - a Keyser Söze kind of wine, a wine which means as much or as little as the drinker wants it to and looks different each time. Also the quoted price now ranges from £1.23, which sounds right, to £5 excluding tax, which sounds limitlessly wrong. So: we end up with a variously-tasting, variously-labelled, variously-priced wine, known generically as Pol Rémy - but appearing all over the place in different styles and at different levels of drinkability, encountered by numerous baffled drinkers, none of whose stories tally. Which, now I think about it, is what wine is, anyway. So I suppose it all works out. And €1.99! You'd have to be mad both to do it and not to.